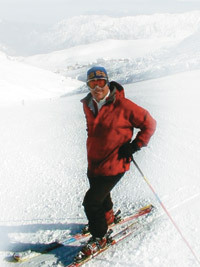 Think skiing is just for young thrill-seekers? 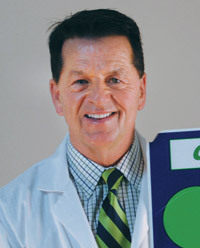 Not quite, says Kenneth Forsythe, M.D., a sports medicine specialist and creator of the Green Light Wellness program. Lots of people have been put off by the idea of skiing because of all the stories about how difficult it is and by worries about injuries, says Dr. Forsythe. But, thanks to the snowboard industry, skis and skiing changed dramatically during the past 10 years. “The ski industry woke up and made skis short, shaped, easy to turn, and a lot more fun.” Coupled with lighter, comfortable boots and much improved bindings, the sport can be safe for all ages, he believes. Every time you go to sit down in a chair, bend only part way and hold that ‘half-seated’ position for 10 seconds. It’s good for backs, hips… and skiers!